A Massachusetts natural gas company retained Midland Resource Recovery (MRR) to decommission odorization equipment in a highly complex and populated area of a major city. 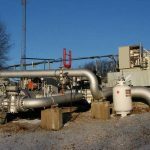 Odorant equipment at a large natural gas compressor station was obsolete and required replacement. Unfortunately, the station was in a highly complex and sensitive area in downtown Boston. The client mandated that the old tanks be decommissioned with a strict “no odor” directive. 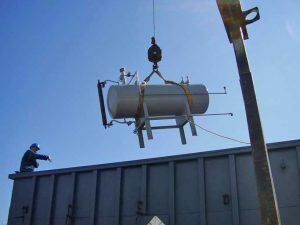 The Massachusetts gas company hired MRR to dismantle the natural gas odorization system. 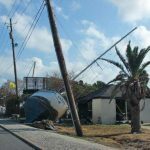 MRR disconnected the odorant injection system using our skilled technicians and followed established protocols to ensure the safe and incident-free removal of the tanks without mercaptan release during the process. The use of patented carbon filters and odor-kill Deomer spray helped assure the “no odor” directive was met. To eliminate the threat of odorant release during transport to the processing facility, MRR used a sealed, leakproof marine container to move the material to our processing facilities for final treatment and destruction. MRR met the no odor directive, and the obsolete equipment was safely removed and taken to an MRR process facility for destruction. All regulations were followed keeping the client in compliance. If you have a populated area need odorant equipment removal, call us at (304) 457-3910 or contact us now.